It’s easy when you’re building to keep adding a little here, and a little there. Suddenly, it adds up to a lot. Keep in mind that it’s not always about the total number of square feet. Sure, it might make some people feel good to say they have a 4,000 sf house, but a 3,000 – 3,500 sf house can actually feel more spacious and accommodate your lifestyle better if designed properly. It goes without saying that a larger house is more expensive to build. But what many people don’t think about, is that it’s also more expensive to maintain and clean, and pay taxes on. These are ongoing, not one-time, costs that will stick with you. And finally, be sure to plan ahead. Consider your needs and desires not just today, but 1, 5 and 10 years down the road. Will the kids be moving away to college soon? Will you no longer feel like walking up and down stairs, cleaning a large house, or maintaining a sizable yard? Downsizing can add up to a lot of savings. Select structural additions or changes when you sign the contract, or shortly thereafter. For example, if you want to add rooms or garages, move doors or walls, or make electrical or plumbing changes, these decisions need to be made at the beginning of the process. Once the footing is poured and construction is under way, these types of changes become extremely costly and time consuming, if not impossible to do. These types of changes would also be costly to make after the home is completed, so think ahead! When do we ever get everything we want? So why should a new home be any different? No matter what your new home budget is, you still won’t be able to get everything you want. Flexibility and compromise is key when shopping for a new home. Here’s our advice: separate “needs” from “wants” on your wish list, and satisfy the “needs” column first. If obtaining all of your wants is not within your budget, remember, you don’t have to do everything all at once. Save those items for a later date! 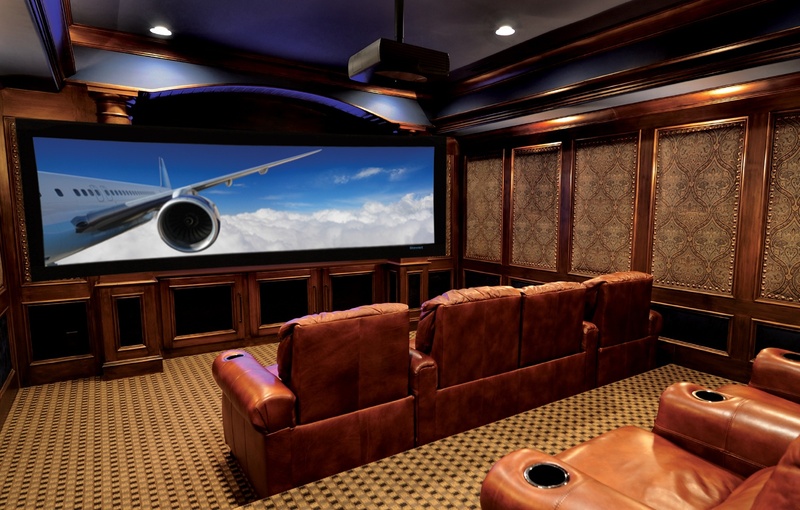 Sure, it’s great to have your own home theater/library/wine cellar, but those spaces are expensive and very specific. They are not likely to improve the value of your home in the long term. If you must have one of these very specific room types, make sure that your design allows for easy repurposing if you choose to sell one day, and stick to a strict budget. While we are all for beautiful, custom kitchens with high-end finishes, one of the areas where homeowners tend to overspend on their renovation or design is by choosing commercial grade appliances (even when they rarely cook)! Unless you are spending a lot of time in the kitchen, and your appliances are being pushed as hard as they would in a commercial kitchen, this is an unnecessary expense. Good, high quality home appliances are more than enough in nearly every situation, and even in a gourmet kitchen. When deciding whether to spend or splurge on anything in your new home, there are two questions you should ask yourself first: (1) is it adding long term value, and (2) is it something I will still want in 5 or 10 years? Things like plumbing and electrical, structural elements, flooring and tiling are all areas where you should spend more. Fancy commercial-grade appliances, home theaters, and expensive cosmetic items that won’t add to resale value are not.